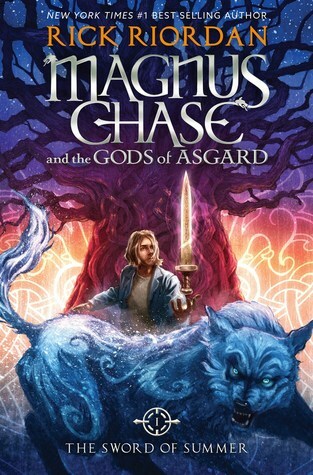 This week's Book Giveaway is the first book in Rick Riordan's new Norse mythology series, Magnus Chase and the Gods of Asgard: the Sword of Summer. (Riordan is not afraid of a cumbersome title, you guys.) I'm so excited about this story—between my well-documented rage over both the Thor movies and the well-written but utterly dour Runemarks series, I'm hoping to finally find something that makes Norse myth actually fun.